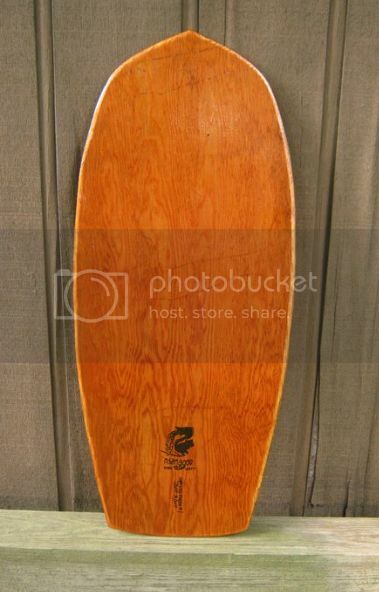 Here is the first board from my batch of curbside collected plywood. It's 44" by 19" quarter inch thick douglas fir, coated with spar varnish. As usual, I didn't use a pre-existing template. I tend to look at the board and think about my waves. Then I draw half of the shape on cardboard, cut it out, trace lightly with pencil, refine if necessary then cut and shape. Hoping to head out after work today and try it out, as long as there's no lightning over Lake Michigan. We've got storms heading our way. Timing is everything! Finally got this thing out into some decent punchy shorebreak on labor day. My 6yo daughter was with me. It was her first attempt at surf photography, and she was only able to get a shot of me in the whitewater. At least it's some documentation of a nice day. That odd looking creature directly behind me was a kite boarder. There's always a swarm of them on good days at this particular beach. I have a lot more freebie plywood to work with. Next one will definitely have a bit of nose rocker. Cool pic. 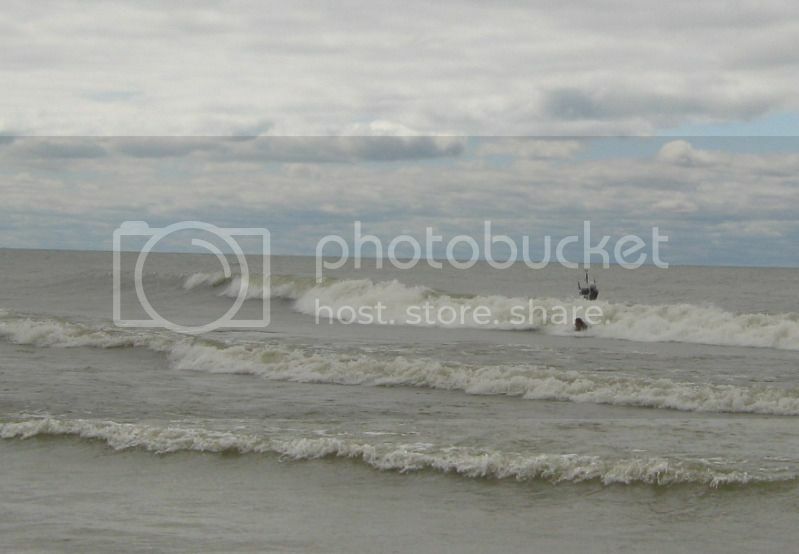 Freshwater surfing has always fascinated me. How much floatation do you get from a plywood board in the lake as compared to the ocean? I wonder how many paipo /bellyboarders have gone before you in that lake? Were you the first one? Good question. There is noticeably less buoyancy in fresh water. I have to admit that I've never ridden a paepo in saltwater, just my longboard and sponges. I've seen a few people with alaias around here. I don't know if there have been any other paepo boarders in the Great Lakes. There's definitely an "anything goes" attitude here, so I definitely haven't gotten any funny looks though! In the ocean, a 1/2" thick generic plywood board around the same size as yours will be buoyant enough to keep me afloat without having to expend any effort when I'm hanging on to it. If I sit on it, it will keep my head & shoulders above water. It's not buoyant enough to lay on and arm paddle. I weigh around 160 lbs. How does using the board in the lake compare?